TRGear designed the Laser Hook for one reason. Strength! 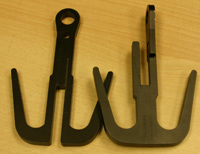 We needed something small enough to fit into a pocket, yet strong enough to pull down or remove a compound gate, steel bars, or abandoned vehicle. 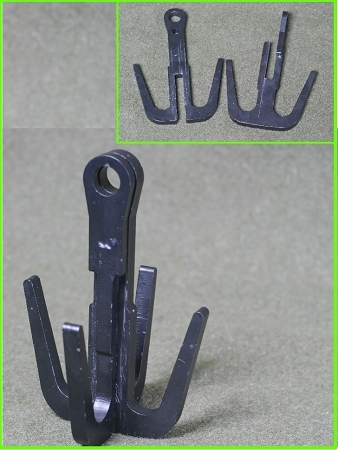 This 2.2 pound 2 piece hook can be Campers, hikers and even rafters and kayakers! 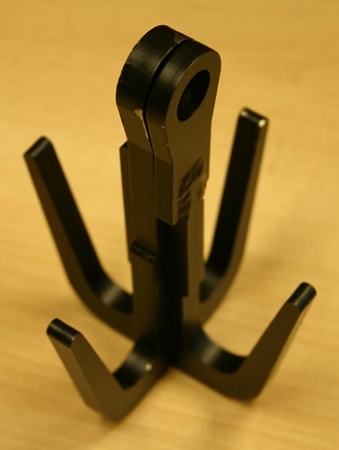 The Laser Hook is 6.4 inches long, 4.6 inches wide, and only 1.2 inches thick when stored. 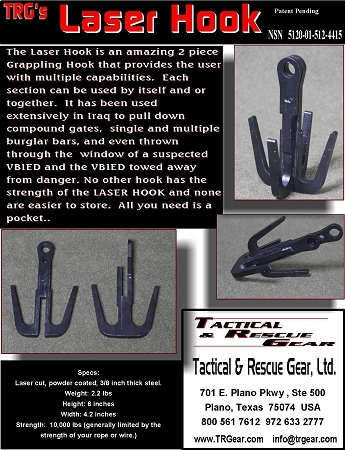 You won't find a stronger hook on the market! !